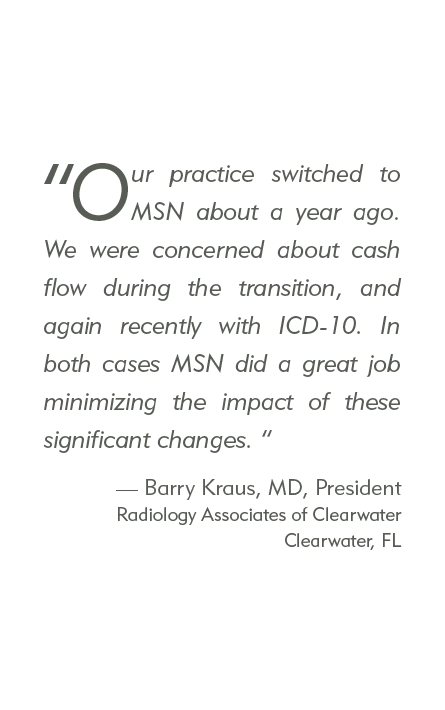 In today’s ever changing healthcare environment, pathologists face unprecedented challenges and demands, especially with issues such as Revenue Cycle Management, contract negotiations, compliance and strategic growth. 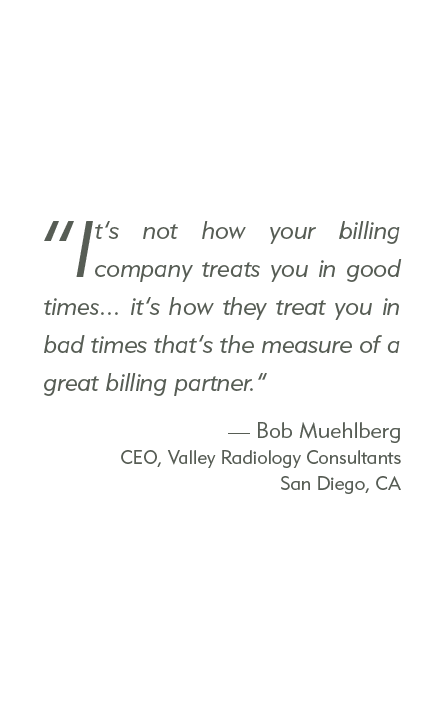 Therefore, it is critical to have a business partner that understands the needs and issues of today’s pathology practice. 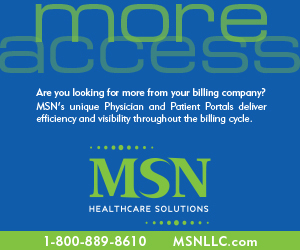 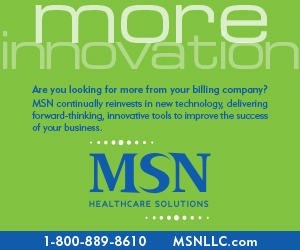 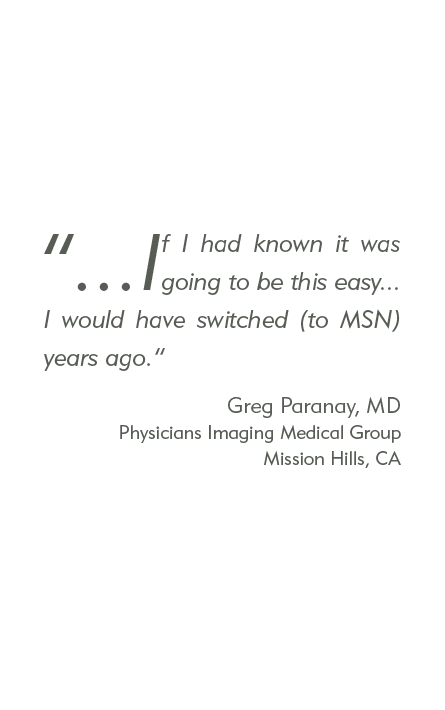 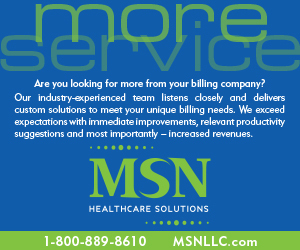 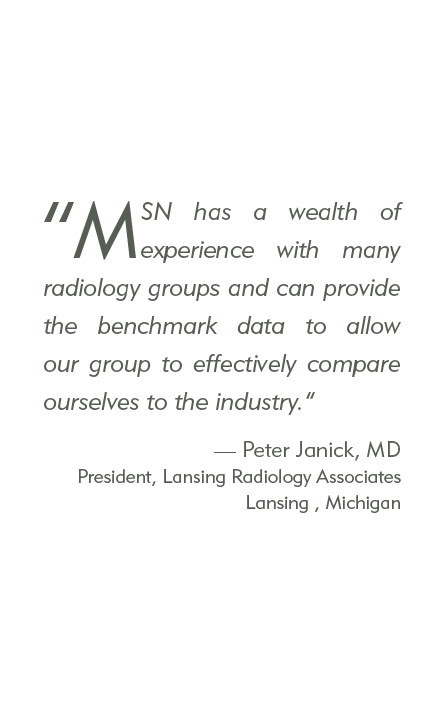 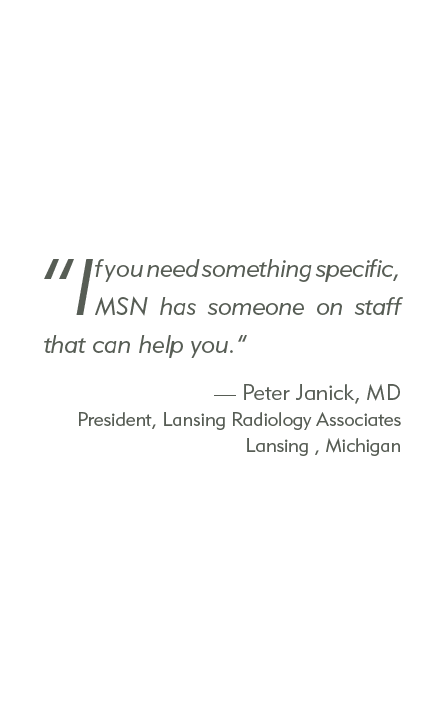 Combining these qualities with a corporate culture that is based upon a passion for customer service, MSN has become one of the leading billing companies for pathology in the country. 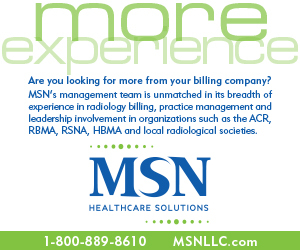 California Cancer Registry (CCR) AB2325 Electronic Pathology Registration Portal Now Open! 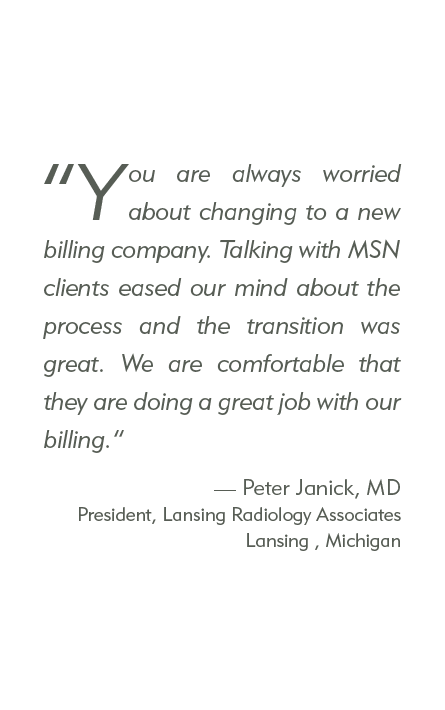 Joe entered the healthcare arena in 2003 and has served physician practices in billing operations and administrative capacities. 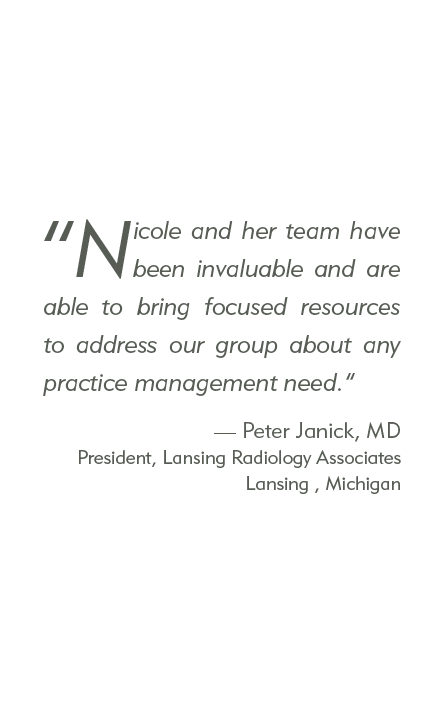 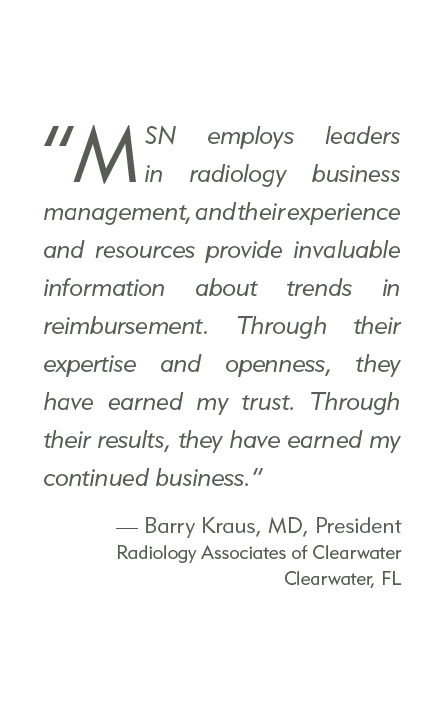 He has helped hundreds of physicians across the country increase revenue and better understand the nature of the revenue cycle through the use of innovative reporting and refined process management. 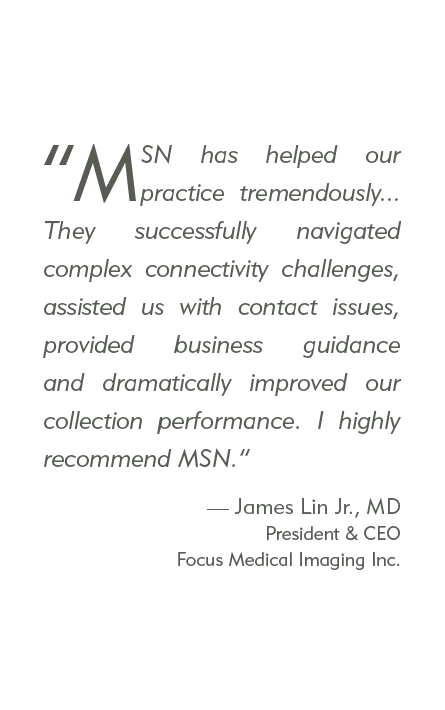 During his time in the healthcare industry, he developed statistical tools combined with powerful data mining applications to predict trends, increase the speed of collections, and avoid common mistakes. 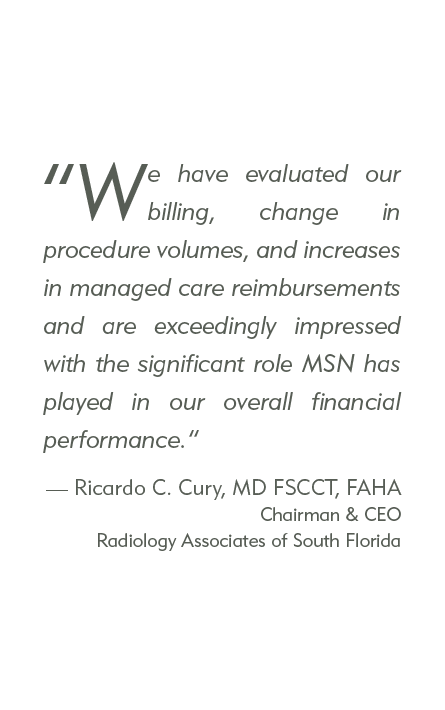 He assisted clients in the development and comprehension of discounted cash flow models on asset expenditures and valuing their business as a whole as well as the development of individualized fraud detection protocols to ensure the security of cash in these medical practices. 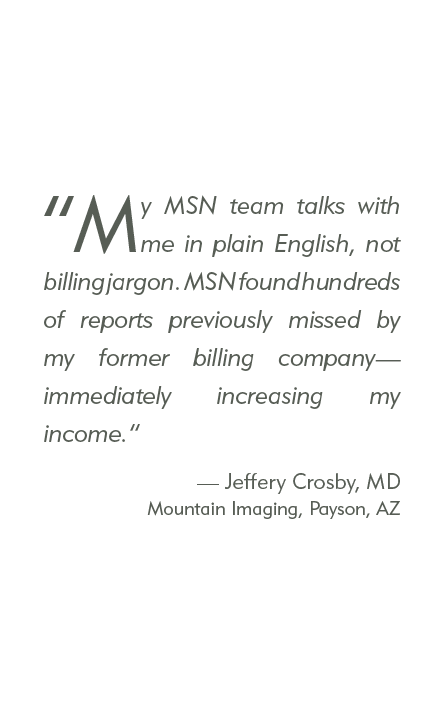 Prior to healthcare, he was a senior financial analyst on a mergers and acquisition team in the energy industry. 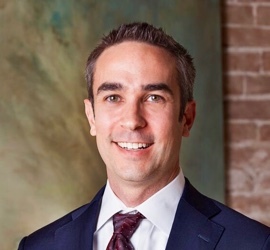 He holds a degree in accounting from Sam Houston State University. 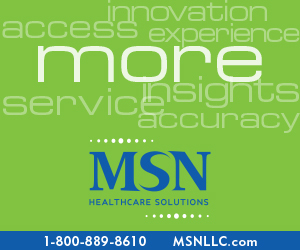 Liz joined MSN Healthcare in 2018 bringing a wealth of Medical Billing experience. 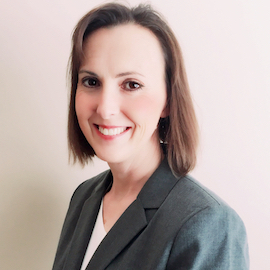 Elizabeth holds a degree in Business Administration, is a certified Coder, and has both CPC and COC certifications. 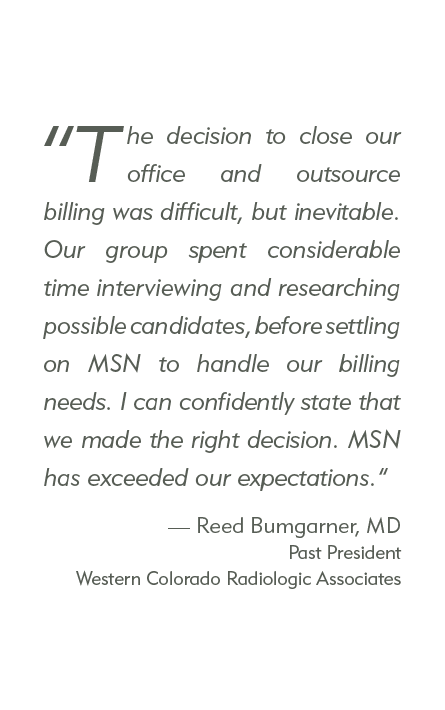 She is experienced in Client Management, Contract Negotiations and has been invited on multiple occasions to speak to residency programs about accurate documentation. 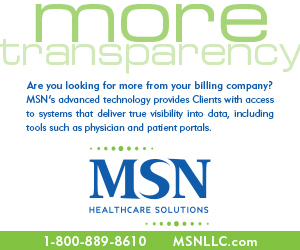 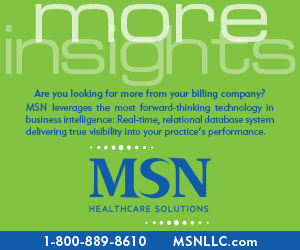 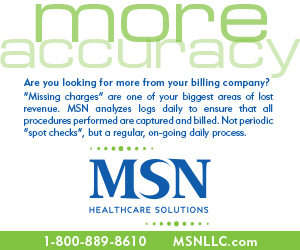 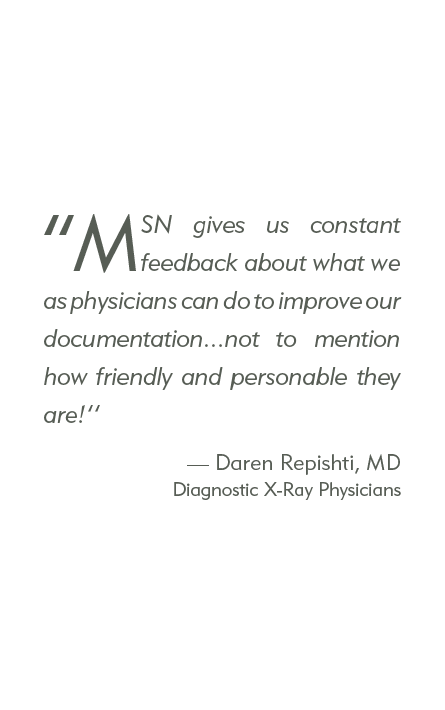 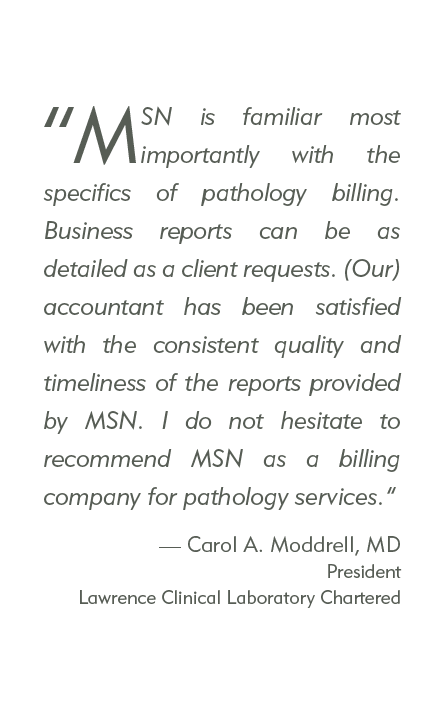 She has been in the Medical Billing profession since 1997 and brings a wealth of knowledge to MSN Healthcare along with the ability to provide excellent services to our Pathology Clients.